Huawei P10 is surely one of the most beautiful looking smartphones that have launched this year. In fact, Huawei’s devices are well-known for their solid build and beautiful design. Honor, which is the sub-brand of Huawei, has launched some of the best-looking phones like Honor 8, Honor 9, etc. The P10 from Huawei was launched with several colors including Arctic White, Prestige Gold, Greenery, Dazzling Blue, Graphite Black, Dazzling Gold, Rose Gold, and Moonlight Silver. Now, it seems the company is soon going to announce a new color for the phone and it looks stunning. 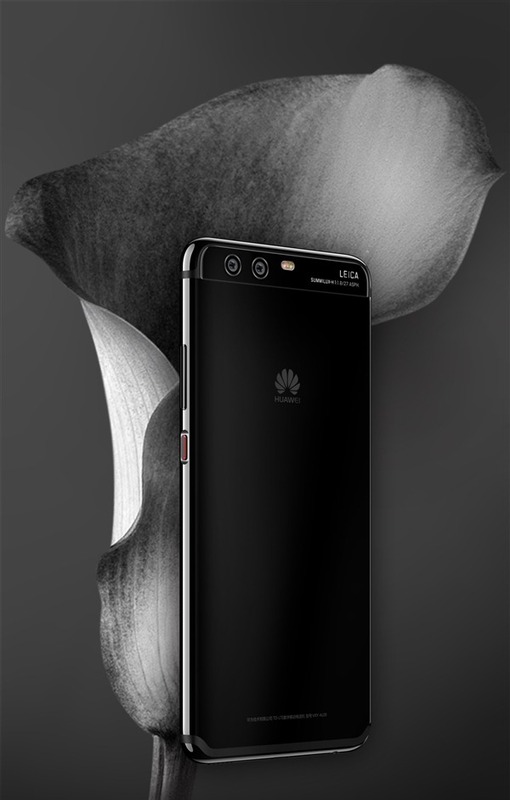 As the image above reveals, Huawei P10 with a new shiny black color is launching soon. As the image above reveals, the phone has pure black rear where the camera module is having the same color but with a glass on the top. The sides of the device are very glossy that make the device look beautiful. If you notice, the power button is red in color. For those who love Black Color, this is surely a perfect color variant of the Huawei P10. What do you think about this new color? Do let us know via the comments section.